Word is floating around that Google is set to roll out its blazing fast Google Fiber internet service to four more cities. Word comes from two sources that claim to have knowledge of Google’s plans. Google has sent out press invites to news organizations in each of the four cities where the service is said to be coming. The four cities include Atlanta, Charlotte, N.C., Raleigh-Durham, N.C. and Nashville, Tenn. The press invites have gone out already and the events are set for Atlanta and Nashville on Tuesday. Raleigh and Charlotte will have their event on Wednesday. The event in Durham will be held on Thursday according to reports from local news organizations. Google has offered no official comments at this time. 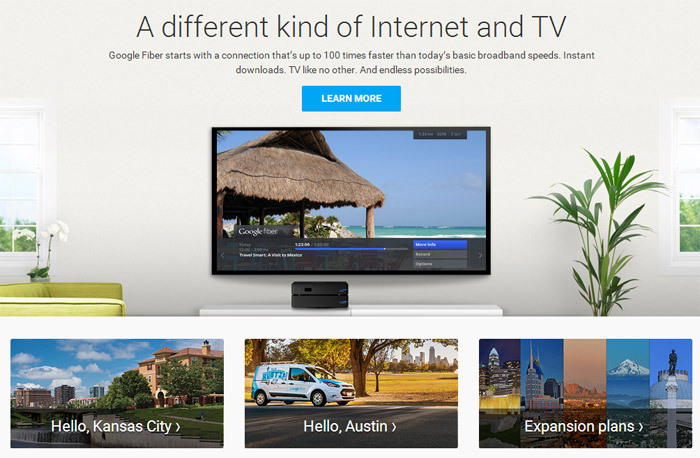 Google is actively working on expanding its fiber internet service around the country. Google is still in the consideration phase of rolling out service in other major cities including Salt Lake City, San Antonio, Phoenix, Portland, Ore. and San Jose, Calif. Google has made no final decision on whether or not these cities will get fiber service. Odds are all of those cities will, it’s just a matter of when the roll out will start.